1. Eva Elmina James: born March 21, 1875 in Woodburn, Clarke County, Iowa; married November 21, 1895 in North Loup, Nebraska to Willis Edwin Lewis (1872–1951), son of Clinton Russel Lewis and Electa Roena Fuller; died January 7, 1945 (aged 69) in Roosevelt, Duchesne County, Utah; buried at Roosevelt Memorial Park, Roosevelt, Duchesne County, Utah; known children include: Margaret Rowena Lewis, Edna Rose Lewis, Minnie Opal Lewis, Agnes Otey Lewis, Chlora Elmina Lewis, Hazel Utahna Lewis, Russel Guy Lewis and James Willis Lewis. 2. Royal Urgus James: born May 14, 1876 in Woodburn, Clarke County, Iowa; married to Sarah Cynobria Hamer (1877-1950), daughter of Thomas H. Hamer and Julie Ann Clement; died July 12, 1948 (aged 72) in Cashmere, Chelan County, Washington; buried at Cashmere Cemetery, Cashmere, Chelan County, Washington; known children include: Norrel D. James, Margaret A. James, Julia Ruth James, Dow Shively James, Ora Evelyn James, Grace O. James and Otey Keith James. 3. Rosa May James: born October 12, 1877 in Woodburn, Clarke County, Iowa; married to John G. Neff; died September 23, 1965 (aged 87) in Florence, Pinal County, Arizona; buried at Valley Memorial Park Cemetery, Section C, in Coolidge, Pinal County, Arizona; known children include: James G. Neff and Bayard Neff. 4. David Bertola James: born February 17, 1879 in Woodburn, Clarke County, Iowa; married in 1873 to Lessie L. James (1884–1976); died May 30, 1968 (aged 89); buried at Sterling Cemetery, Block SE, Sterling, Johnson County, Nebraska; known children include: Katherine James. 5. Susan Harriet James: born June 11, 1880 in Woodburn, Clarke County, Iowa; died June 12, 1881 (aged 1 year) in Woodburn, Clarke County, Iowa; buried at Ottawa Cemetery, South Section, Row 5, Headstone 7, Ottawa, Clarke County, Iowa. 6. Minni Adyca James: born September 17, 1881 in Woodburn, Clarke County, Iowa; married July 8, 1912 in Gentry, Arkansas to Frederick August Christensen (1888–1964), son of Rasmus Larsen Christensen and Augusta Philippa Miller; died September 1974 (aged 92–93) in Arcadia, Valley County, Nebraska; buried at Arcadia Cemetery, Section 3, Row 12 in Arcadia, Valley County, Nebraska; known children include: Mildred Adyca Christensen and Margaret Christensen. 7. Darl Shively James: born 1890, married to Letha L. James (1890–1968); died 1956 (aged 65–66); buried at Walnut Grove Cemetery, Worthington, Franklin County, Ohio. 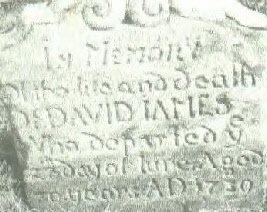 David Sylvester James (1850-1909) was the son of Otey James (1813-1907) of Botetourt County, Virginia and Maria Theresia Beroth (1808-1872) of Stokes County, North Carolina. Find A Grave Memorial for Eva Elmina James Lewis (1875-1945), Memorial ID No. 5369132, created by Sherri McManus, added April 17, 2001. Find A Grave Memorial for Royal Urgus James (1876-1948), Memorial ID No. 37877412, created by Teresa, added June 3, 2009. 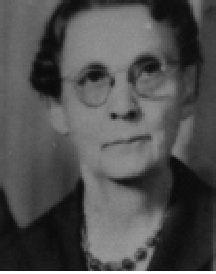 Find A Grave Memorial for Rosa May James Neff (1877-1965), Memorial ID No. 53240217, created by Diane & John, added June 4, 2010. Find A Grave Memorial for David Bertola James (1879-1968), Memorial ID No. 91934271, created by RobMinteer57, added June 14, 2012. Find A Grave Memorial for Susan Harriet “Susie” James (1880-1881), Memorial ID No. 119843574, created by Karen Brewer, added November 5, 2013. Fnd A Grave Memorial for Minni Adyca James Christensen (1881-1974), Memorial ID No. 79699494, created by Diane, added November 1, 2011. Find A Grave Memorial for Darl Shively James (1890-1956), Memorial ID No. 81927623, created by Barb Carraway, added December 13, 2011. Below - Eva Elmina James (1875-1945). 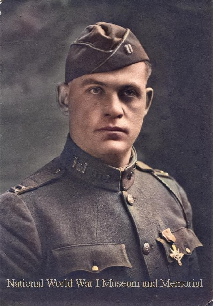 Below - Darl Shively James (1890-1956).